Home \ Project365 \ WODdoc Episode 92 Project365: Is Coconut Water All It’s Cracked Up To Be? WODdoc Episode 92 Project365: Is Coconut Water All It’s Cracked Up To Be? So, today was totally unexpected and thats one of the things I love about doing this. When posting everyday sometimes opportunities just pop up and you have to grab them. I attended a lecture this morning on Nutrition for Athletes by Dr. Robert. Silverman. When I say this guy is a genius I am not just blowing smoke. True story, I have watched him lecture several times… great lecturer but more interesting is, I have never seen him stumped. Now, I’m not saying it doesn’t’ happen but I have just never seen it. If you have ever been to a post-grad lecture you have probably seen “that guy.” You know the one… the guy that always tries to ask some asinine question to catch the presenter off gauge. Somehow this guy always knows what they are talking about and has an answer for them. Its crazy. Anyway, coconut water came up. Since coconut water is like the stuff crossfitters bath in I found his comments intersting. Now, before the hate mail starts pouring in everyone relax. What Silverman is saying is not that coconut water will kill you but, that it has its faults. Turns out the maturity of the coconut plays large roll in the nutritional benefits of the drink. The literature shows that for more power, more endurance and better VO2 capacity we want a mix of 2 carbohydrates, specifically fructose 35% / glucose 65%. If the nuts used to make the water are harvested at an early age when they are young and tender they contain much higher amounts of fructose and glucose. However, most are harvested at a later age (probably because thats when they are bigger). Unfortunately, the sugar content in mature coconuts is dramatically different (Not a believer … eat a raw green banana and a fully matured banana then tell me they don’t taste different!!!). It contains large amounts of sucrose (a sugar we don’t want a lot of) and only about 10% of good components (fructose and glucose). Moral of the story is that until we can figure out how to use only young tender coconuts to make coconut water the literature doesn’t agree with the advertised benefits … big surprise..
Again this is not to say that coconut water is bad for you… just hat it hasn’t been shown to hydrate you better then plane old H20…. I guess Bobby Bushay was right after all. 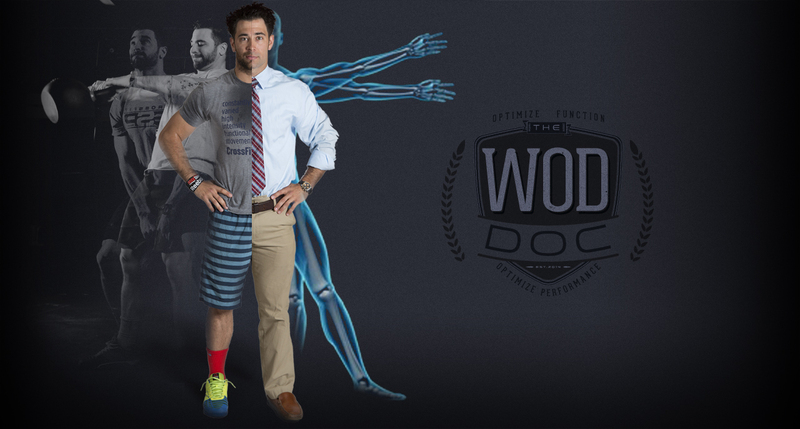 WODdoc Episode 292 Project365: What Is Mobility Floss and How Do I Use It?